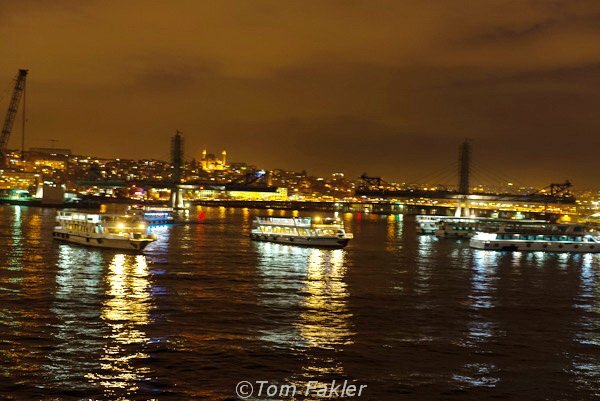 One of the first things I noticed about Istanbul in winter was the light: changing through the day, as clouds come and go, and monuments lit to demand an evening promenade. 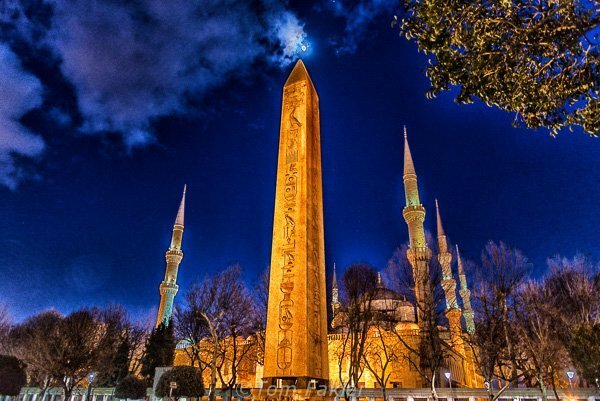 A few minutes from our rented apartment in Sultanahmet, the moon posed above the Blue Mosque and the 4th century Obelisk of Theodosius, welcomed us to town in a picture postcard moment. Situated as it is on the confluence of the Bosphorus and the Marmara Sea, Istanbul has dramatic sunsets too, although the shifting cloud cover of winter can dim the show somewhat. Darkness comes early at this time of year, and as commuter ferries swirl in and out of their moorings, they travel over waters reflecting the lights onshore. Indoors, trinkets and lamps twinkle in bazaars and shop windows; even the famed Turkish delight and sweets dripping with sugar syrup glisten. Join me in a quick saunter through a typical, touristy day around town—and sample the spectacle of Istanbul lights, natural and man-made. 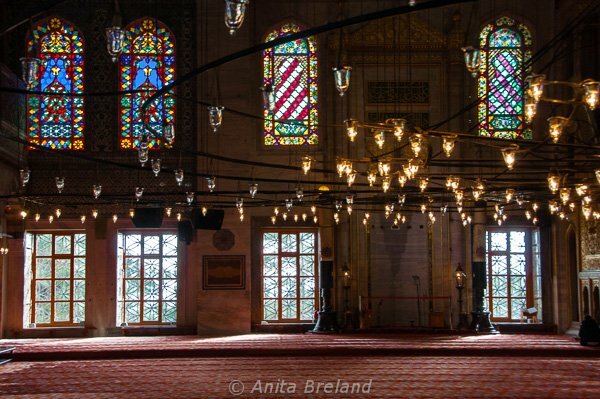 Inside the Blue Mosque, natural light, stain-glassed windows and the bulbs of an enormous chandelier light the domed prayer hall. 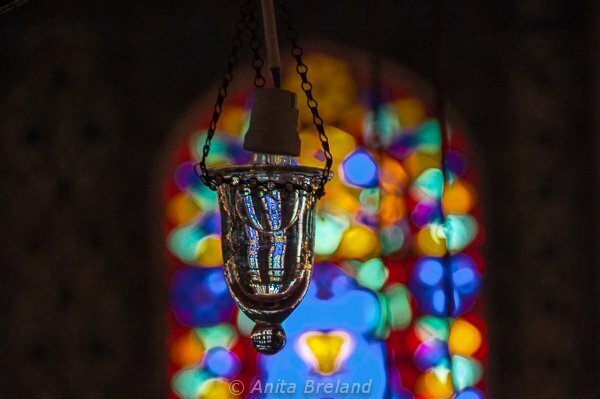 Colors of the stained glass are reflected in each of the chandelier’s many glass lamps. 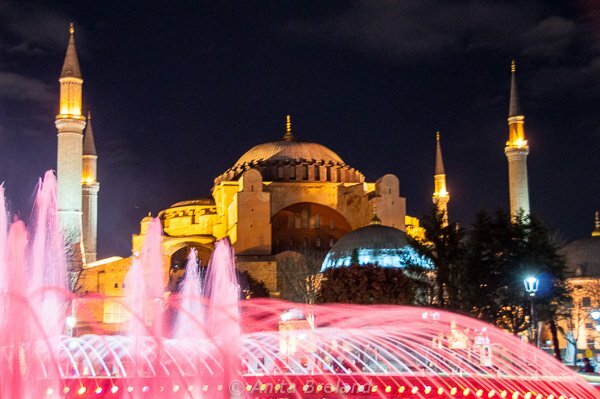 The fountain in front of Hagia Sophia is a popular gathering place. In the evening, it plays a gaudy game of saffron and rose, then shifts to shades of blue, green and yellow. 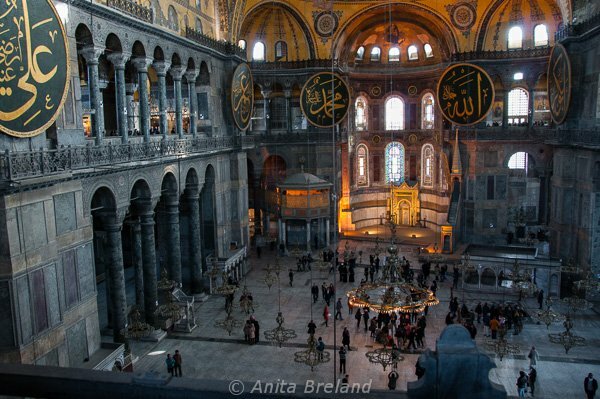 By day, the cavernous interior of Hagia Sophia is mostly naturally lit. 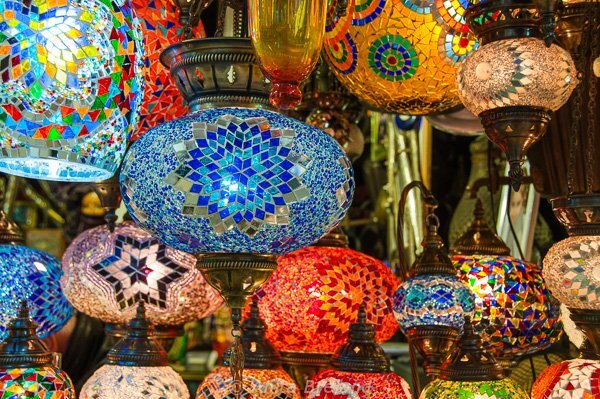 In the Grand Bazaar, lamps glitter in every color combination imaginable. 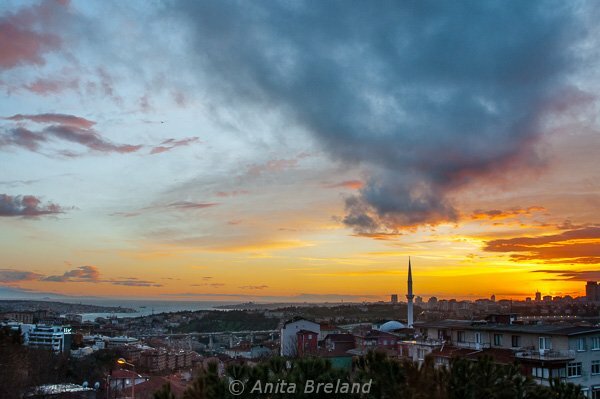 From the heights of Arnavutköy, a sunset view over Istanbul and the Marmara Sea. 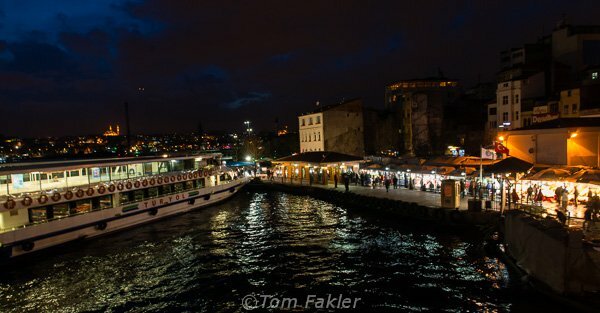 Against a backdrop of cranes and the Golden Horn, ferries queue to dock beside the Galata Bridge. The fish market at the Turyol ferry landing does a brisk business as commuters head for home. Simple restaurants around the bridge are packed after office hours. The fish is cooked to order on grills in boats that serve as kitchens for the restaurants on shore, the boats’ fluorescent lights reflecting in the waters of the harbor. 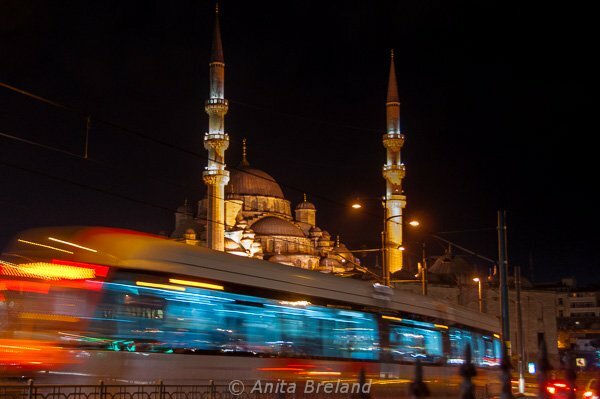 A tram filled with commuters heads across the Galata Bridge toward Eminönϋ. Fish restaurants in Kumpaki are filled with local customers on a Friday evening. Small bands of musicians roam between the tables and the restaurants and the atmosphere is lively. 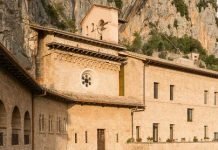 Each day here is washed in vivid colors and experiences. 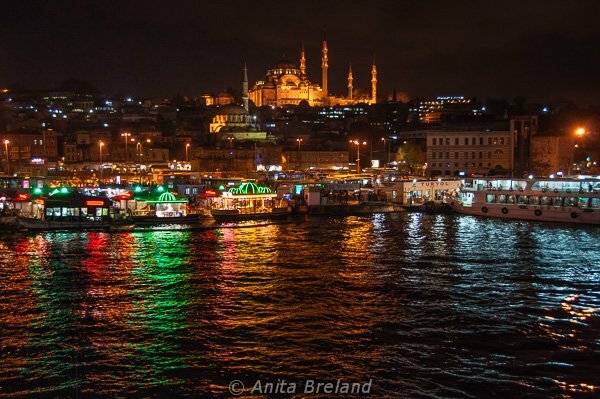 These few photos barely skim the surface of my first impressions the lights of Istanbul! For more, check out my photo albums on Facebook and follow Anita’s Feast on Twitter! These ad gorgeous photos Anita! Thanks for sharing! Thank you, Nicole! We had great weather when we arrived, cool with clear skies. It’s now turned rainy, so I’m glad we were able to get out with our cameras last week! 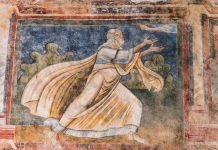 Greetings Anita, I’m so happy I happened upon your blog – it is a feast for the eyes! 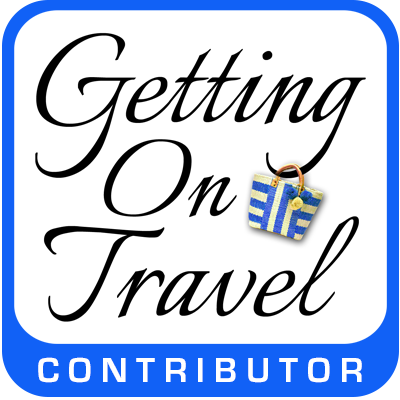 I have not been to Istanbul for many years, though my husband and I are contemplating visiting the Balkans and stopping by if we have time. Your vibrant images of the streets by night, and of the glowing trinkets have me wanting to return for sure. 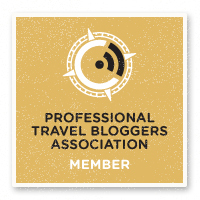 You won’t be sorry, Tricia, but then if you’ve been to Istanbul you already know that! 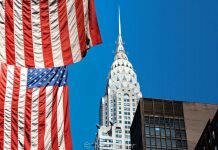 I really, really enjoyed my stay there over the past couple of weeks, and am so happy you liked the post. My friend just went to Istanbul and brought me back one of those gorgeous lamps, which I have hanging in my bedroom! Absolutely beautiful! Thanks so much for sharing your photos, they are stunning! Lucky you…aren’t those lamps divine? Thanks for stopping by! 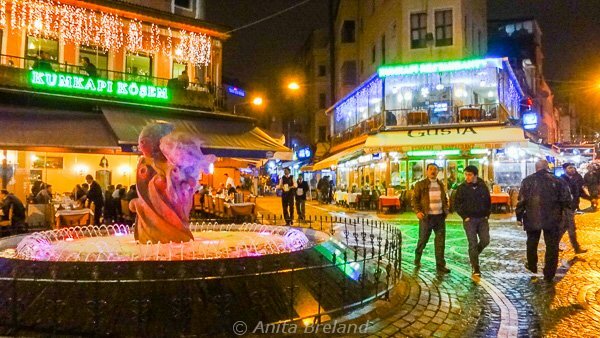 Loving these photos of Instanbul! 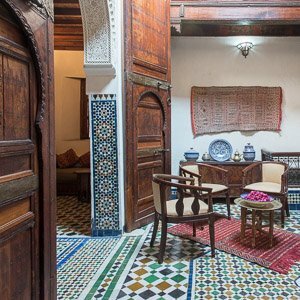 Reminds me of Morocco a bit – such vibrant colors! I agree, the colors are outstanding, even in the relative “drab” of winter! Thanks so much for commenting, Diane! How great to revisit some of our shared memories too…and bless Madame Smith, I’ll be grateful to her forever, for planting the bug of lifelong travel.